How IPL Laser Treatment Can Replenish Your Skin - Doctor Hermann M.D.,P.A. IPL treatments are usually very quick and painless appointments. Your treatment will begin with a topical anesthetic to minimize discomfort during the procedure. After the procedure, it will seem as though you have a mild sunburn. Your skin will darken and flake off, with the desired results sometimes taking 3 to 10 days as the skin recovers. You may notice some immediate effects of blemishes caused by blood vessels immediately in some cases. Most people who benefit from IPL laser treatment only require one session to get the desired results. 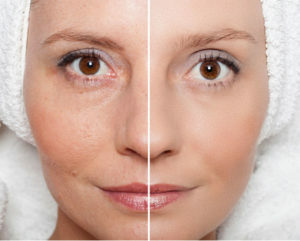 IPL laser treatment offers lasting results. Your skin will continue to look and feel even and smooth long after the treatment. Blemishes and uneven skin tone are not likely to return without environmental factors. It is important that you follow a sunblock and skin care regimen immediately after and following your IPL laser treatment to protect your results. If you are interested in IPL laser treatment to replenish your skin, contact us today for an appointment.